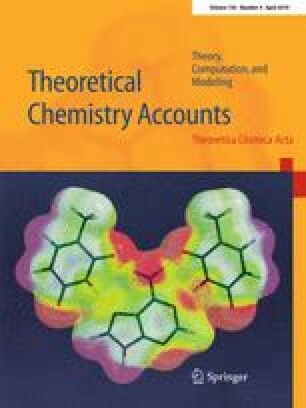 Tautomerizations of succinimide (2,5-pyrrolidinedione) and maleimide (2,5-pyrroledione) assisted by ammonia and methanol molecules have been studied at density functional theory level in aqueous medium implementing polarizable continuum model. Tautomerisms observed in succinimide are keto–enol and amine–imine, but maleimide shows only amine–imine tautomerization. The relative energies (Ers) of various species and activation energies (Eas) of the transition states involved in the tautomerization processes have been calculated and depicted in the potential energy surfaces. We have observed that with increasing the number of catalyst molecules from one to two, the barrier heights for the tautomeric conversions decrease. SS is grateful to University Grant Commission (UGC), Government of India, TA and TD are grateful to Council of Scientific and Industrial Research (CSIR), Government of India, for providing them research fellowships. The authors are thankful to the reviewer for his constructive comments and suggestions. The authors also declare no conflict of interest.